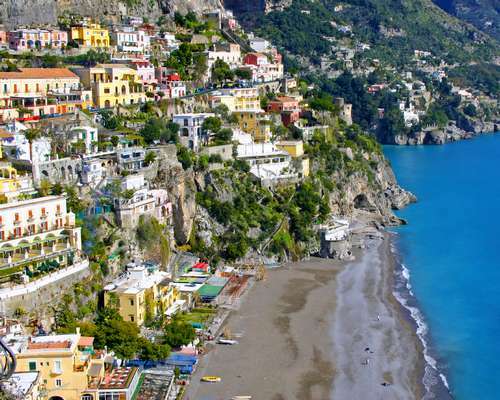 Board your coach and travel south on the autostrada to the Bay of Naples. Stop in Naples, where a favorite landmark is the Opera House (Teatro San Carlo), first built in 1737 and an important institution in the world of music. The massive walls of Castel dell'Ovo, a Norman fortress begun in 1115, face the Santa Lucia harbor. Castel Capuano, another Norman fortress, built in 1165, served as the royal residence. There's also Castel Nuovo (often called Maschio Angioino), begun by the Angevin dynasty in 1279. On Piazza del Gesù Nuovo stands the Baroque Cathedral of San Gennaro. Travel to the fabled town of poets and sunsets, also renowned for its embroidery and intarsia (wood-inlay). The evening is free to enjoy Sorrento's scenic delights and spectacular views. For the finest overlook of all, you may want to go to Punta di Sorrento and watch the sunset from the belvedere. 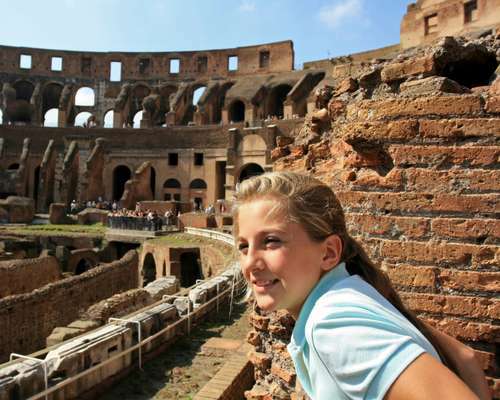 Walk through the Roman city recognized by UNESCO as a treasure of Western Civilization. See how well-to-do Romans lived 2,000 years ago, until Mt. Vesuvius all at once destroyed this city in one day and preserved it for all time. You may want to check out the Museo di Correale to view Neapolitan paintings, Capodimonte porcelain, and Murano glassware. The library holds works by the poet Torquato Tasso, born in Sorrento in 1544, whose best-known work is Gerusalemme liberata, an epic poem that's one of the classics of Italian literature. Descend the winding road to the port of Sorrento. A ferry will take you to the Isle of Capri. Transfer by funicular to the town of Capri's main square (Piazzetta), passing tropical gardens on the way. On the island stands Villa Jovis, the imperial residence from which Tiberius once ruled his empire. Recall tales of the Emperor Augustus, and of the mischievous Caligula. From Capri's Piazzetta, it's an easy walk to the Gardens of Augustus, a magnificent public garden landscaped in the 1930s by the German industrialist Friedrich Krupp. Its terraces adorned with colorful and fragrant vegetation are perched atop a cliff with a sheer drop to the sea. The gardens face Capri's southern coast and provide splendid views of the 14th-century Charterhouse of San Giacomo, the Bay of Marina Piccola, down below, and the Faraglioni, the needle-like rocks that soar above the sea. Board a ferry bound for Sorrento. 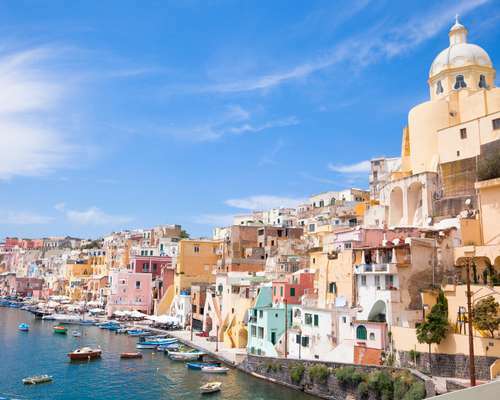 Travel to Baia, located on the coast of the Gulf of Pozzuoli and named after Baios, the helmsman on Ulysses' boat. In present-day Baia, you will see impressive ruins of a thermal bath complex (Thermae) with structures once mistaken for temples. From the comfort of your boat's submerged cabin, discover the sunken city located a stone's throw from the ruins of Portus Julius, the first great Roman port, and imagine what Baia was like when it was the Las Vegas of its time. See floor mosaics, streets, remnants of important buildings, and marble statues, which all lie now below the sea due to a dramatic change in ground level. Continue to the ruins of the once-influential Magna Graecia city of Cumae. Perhaps the oldest settlement in Italy, Cumae is a hotbed of Greek mythology. During your your visit, you will see the Temple of Apollo, described by Virgil in The Aeneid which was transformed into a Christian church. In the footsteps of Aeneas, you will enter the Sibyl's Cave. Among all the Sibyls of the ancient world, the Sibyl of Cumae was the most revered. A coach ride up the autostrada brings you to the "Eternal City". Head to Rome's most beautiful park, Villa Borghese to view the superb art collection on display in Galleria Borghese. This museum owns Bernini masterpieces, such as David and Apollo and Daphne, and Canova's famous statue of Pauline Borghese, the sister of Napoléon Bonaparte. Head up Capitoline Hill, which was once the site of Rome's foremost temples. Enjoy a visit to the Capitoline Museums, housed in the neighboring Palazzo Nuovo and Palazzo dei Conservatori. Their collections include artifacts from all periods of the Roman Empire, in particular the marble statue known as the Dying Gaul, pieces of a colossal statue of Constantine the Great, Roman busts that stand as a kind of ancient Who's Who, and remarkable Renaissance paintings. Take in some sights or indulge in some shopping. Italy is famous worldwide for its fashion designers such as Prada, Dolce & Gabbana, Gianni Versace and Moschino. Consider a visit to the area surrounding Piazza del Popolo, a paradise of shopping, thanks to the high concentration of boutiques. You may want to visit the famous Spanish Steps, a favorite spot for Romans and tourists alike. 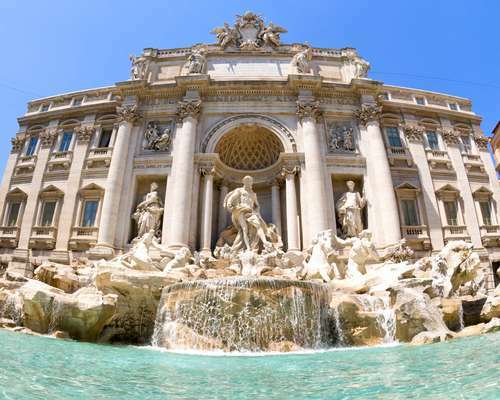 Attractions in the area include the last residence of the poet John Keats, the exclusive Babington Tea Rooms, and Via dei Condotti, lined with high fashion boutiques such as Armani, Prada, Versace, and Gucci. Never in the history of mankind has so much genius, in all its forms, been concentrated in one place as it was in Firenze during the fifteenth century. 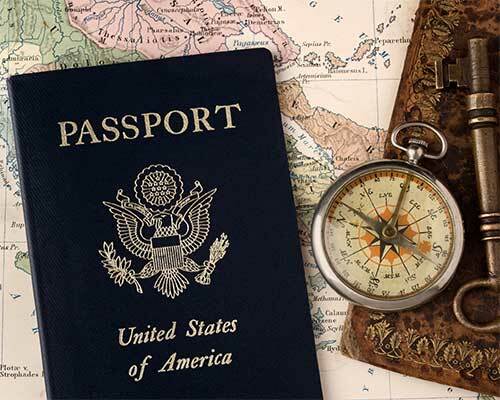 Discover it all today, during a full-day excursion to the true Renaissance city. A Frecciarossa or Frecciargento high-speed train will take you to Firenze, often called the "Jewel of the Renaissance." Never in the history of mankind has so much genius, in all its forms, been concentrated in one place as it was in Florence during the fifteenth century. 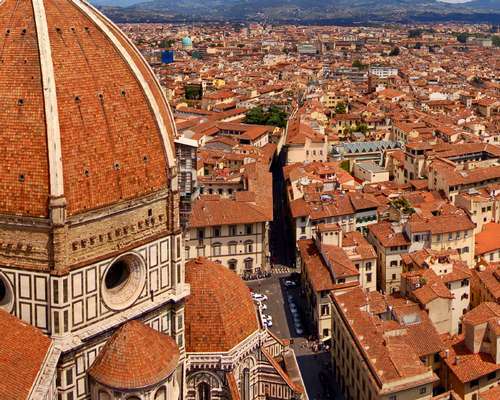 A local guide, well-educated and specially-trained on the history and culture of Florence, will accompany your group. View a wealth of artwork from the 15th and 16th centuries at the Galleria dell'Accademia, including the best known of all Florentine treasures, Michelangelo's monumental David. In the nave of the Cathedral of Santa Maria del Fiore, better known as the Duomo, you will marvel at one of the largest cathedrals in the Christian world, consecrated in 1436. Within its striking walls, it houses precious masterpieces, notably Domenico di Michelino's 1320 painting Dante and the Divine Comedy. Next on your program: the church that's the final resting place of luminaries such as Michelangelo, Machiavelli, and Galileo. Santa Croce is also famous for its art treasures, notably the Cappella dei Pazzi, a chapel attributed to Brunelleschi that's hailed as a masterpiece of Renaissance architecture. You may want to check out Florence's leather and jewelry shops, or the boutiques where you can acquire beautiful reproductions of Florentine artwork at reasonable prices. Tonight, enjoy dinner while local singers and musicians entertain you with O Sole Mio, Volare and other favorite Italian songs.